Check out over 210 photos from the massive WETA booth at San Diego comic-Con 2018. They are showing off props from some of the films they’ve worked on, as well as a wide range o new collectibles. Licenses include Lord of the Rings, Planet of the Apes, Warcraft, Alita: Battle Angel, Ghost In The Shell, Krampus, Tomb Raider and more. Check the list below for the full line up of licenses and see the photos by clicking the headline of the story. Some photos from the WETA display at San Diego Comic-Con 2017. There are no additional details available at this time. 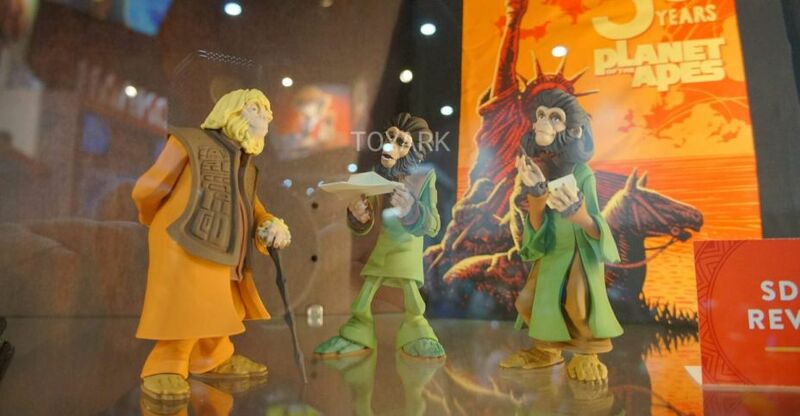 But there are some photos of these excellent looking collectibles. Read on to check them out. 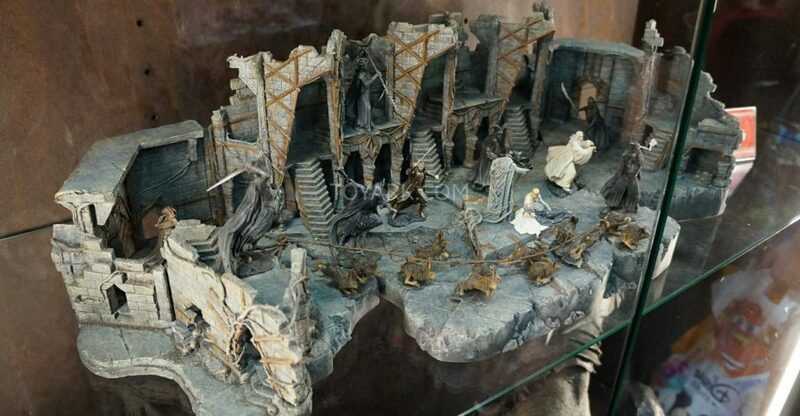 The Hobbit collectibles were out in force the WETA booth at San Diego Comic-Con 2014. They had an awesome animatronic Smaug overseeing the entire display. They also had some District 9 and Elysium items on display as well, but The Hobbit dominated their display. Included are a bunch of statues, some busts, diorama pieces and a few replicas. We have over 50 photos to check out. WETA has posted a pre-order for a prop replica TST Chemrail – Dual Stage Linear Motor Rifle. 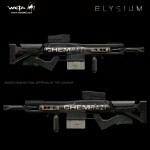 The rifle is a replica of the one used in the Neil Blomkamp film Elysium. The 1:1 scale replica is due out between March – June 2014. The price is $399.99 and it will be limited to just 750 pieces worldwide. Read on for some images and more info. Check out pics of WETA’s massive display. It features some great stuff including The Hobbit and an announcement of Elysium items coming soon. 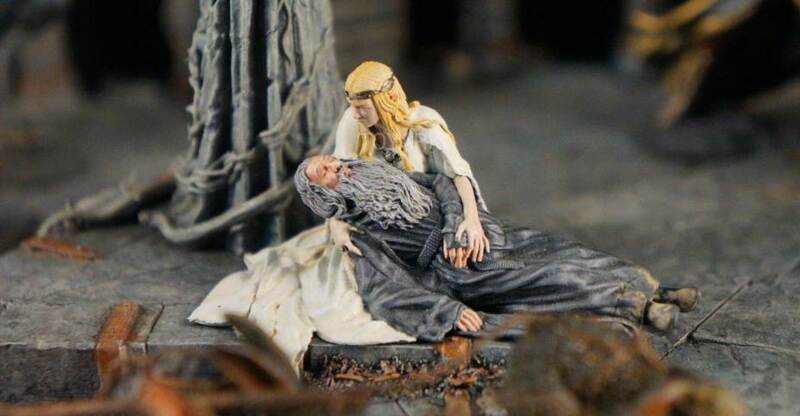 They had The Bridge Direct Hobbit figures as well.